Septic tanks are installed in about 1 in 4 homes in the U.S. They are a clean and cost-effective way to get rid of wastewater. Managed properly, septic tanks can give you many years of trouble free drainage of wastewater. One important component of maintaining your system is regular septic tank pumping and inspection. Having the septic tank inspected regularly will help you determine when pumping is necessary. 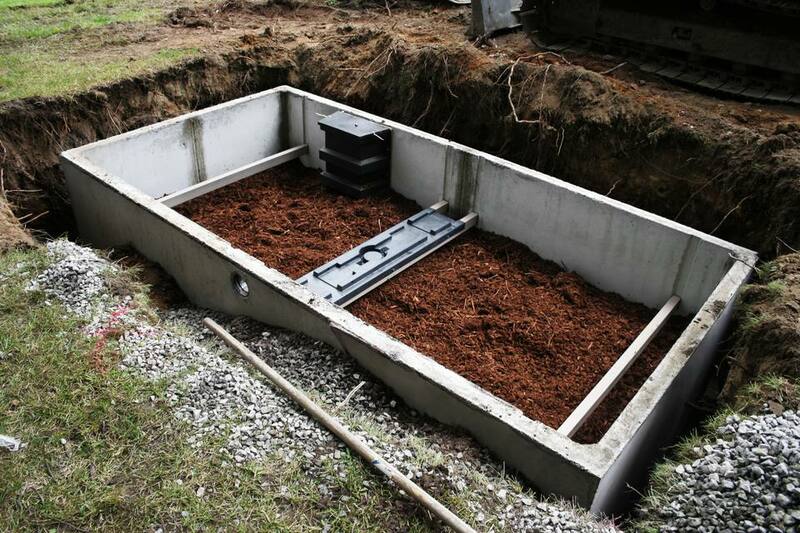 Most septic tanks need to be inspected about once every 3 years. Some systems with mechanical components will need to be inspected more often. The system’s documentation will have a recommendation about the frequency of inspection. Many homeowners want to know how often they should have their septic system pumped. Various conditions affect when a septic tank needs to be pumped, so there is no set answer for everyone. There are, however, ways to estimate when a tank will need pumping and things you can do to extend the time before pumping is necessary. There are ways to help estimate about when you should have your tank pumped. As an example: an average 4 bedroom house may have a 1200 to 1500 gallon tank and with a family of 4 should expect to have the tank pumped every 3 to 5 years of typical use. The determinants of septic tank pumping are the scum and sludge layers of the tank. An inspector will check these layers during an inspection. Both of these layers are highly dependent on how the system is installed and used. The main installation factor is the size of the tank in relation to the size of the property. A system that is too small for the house will need to be pumped more often. This is usually not an issue since the size of the property is considered when a new system is installed. Most often, the two things that influence the frequency of septic tank pumping are the number of people in the house and how the system is used. Naturally, the more people using the system means more wastewater will be generated. This is not something you can do anything about, but it is important to keep in mind when considering how to schedule septic system maintenance. The use of the septic system is the one thing that homeowners can monitor and adjust to help extend the time between septic tank pumpings. Managing the amount of wastewater and the types of solids that enter the system is important. Water - Using high efficiency or water saving plumbing fixtures, such as toilets and faucets, can greatly decrease the amount of water that goes into the septic system. Repairing leaks and drips is another way to reduce the overuse of water that can cause the septic tank to fill faster. Waste - Monitoring the solid waste that enters the septic system is another way to keep it working properly. Trash that is either washed or flushed down the drain can overburden the septic system. Use a garbage disposal designed for septic systems and don’t flush anything except toilet paper. Throwing things in the trash takes only a little effort, but it will make a big difference in the management of the septic system. Know what to expect: Call around and get prices for inspection and pumping including locating the lids for the septic tank. Ask each inspector what the inspection will include so you can compare more accurately. Be prepared: Just because you have gone 5 years without a peep does not mean your tank can last much longer. It is always better to do this on your terms instead on in an emergency last minute situation. Careful water management: Know that only toilet paper should go down the toilet and that even small leaks from a toilet or shower can lead to hundreds of gallons over time filling your tank faster than expected. Save water whenever possible. Keep good records: Write down the age, size, and capacity of your septic tank. Keep track of inspections and pumping for future reference. Do You Need a Water Heater Expansion Tank?